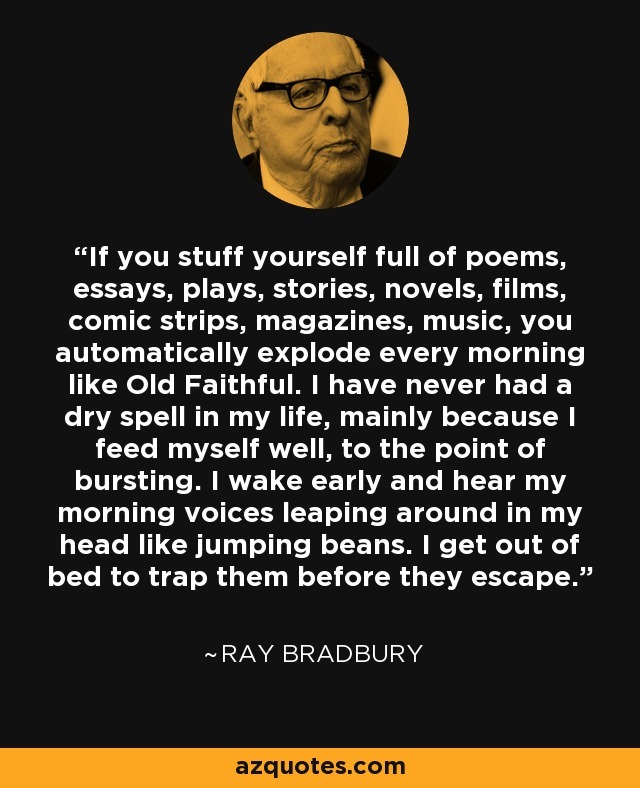 If you stuff yourself full of poems, essays, plays, stories, novels, films, comic strips, magazines, music, you automatically explode every morning like Old Faithful. I have never had a dry spell in my life, mainly because I feed myself well, to the point of bursting. I wake early and hear my morning voices leaping around in my head like jumping beans. I get out of bed to trap them before they escape. "The Complete Handbook of Novel Writing". 2010.